St. Mary’s Menston students Kavi Appuhamy and Chloe Tindale, who earlier this year were working with Zulu children in South Africa as part of the school’s Bambisanani project, last week met Prince William at a Diana Award ‘Inspire Day’ in South Shields. 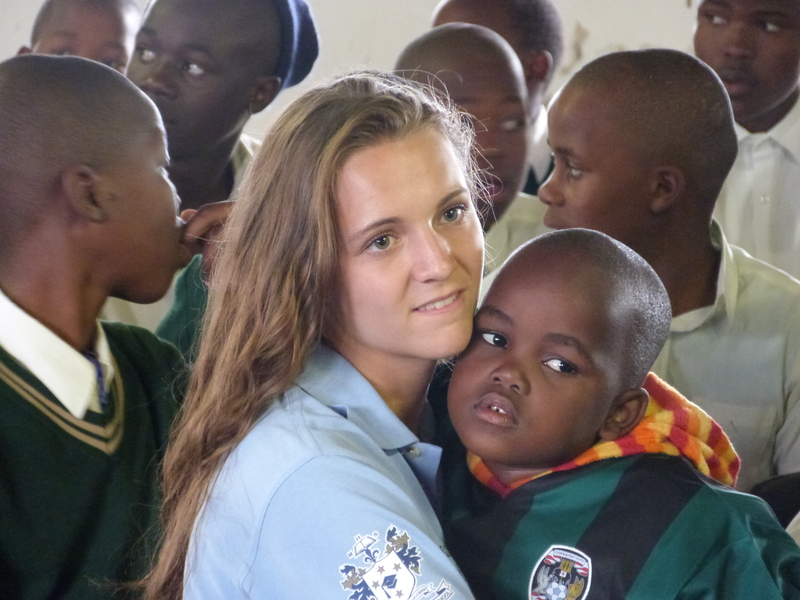 The sixth form students were invited to the event because of the school’s pioneering work in South Africa using sport to promote education, health, leadership and global citizenship which is now in its seventh year. Commenting on the day, Chloe said, “Prince William even joined in some of the team building activities. It was really strange to be standing next to Prince William, however it showed that he was not afraid to get stuck in and that he had an obvious community spirit. Kavi added, “Tessy Ojo, Chief Executive of the Diana Award, introduced Prince William to our group and he began to speak to some of us about the individual projects that were being run. I wasn’t expecting to speak to him because I thought he would have moved on but the Prince reached out to shake my hand and we began talking! At first I was slightly star struck to see the man that is always on the TV, in front of my eyes speaking to me, the future King of England. I described the work of the Bambisanani Partnership, especially the development of leadership skills through sport and forming young leaders in Mnyakanya High School, which the Prince seemed genuinely interested in as he asked me further about how St. Mary’s came to establish such a link with a South Africa school. “I spoke about how our teacher Mr Geldart was the founder of the project and that we aim to increase the extent of the work of the project and awareness about the issues we are tackling. HRH Prince William praised the work of the project and was impressed by what the two schools have achieved as a partnership. Two year 8 students from St. Mary’s, Izzy Palmer and Samantha Breen, are enjoying competing in high level sport this year. 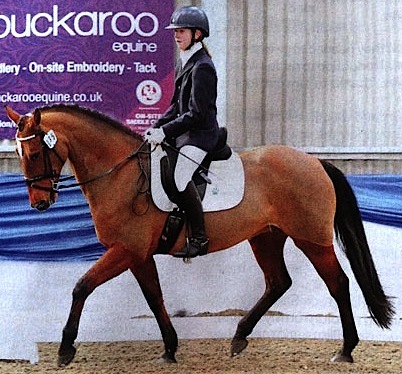 Izzy won both her classes on 17 November 2013 to qualify for the Para Winter Championships held in March 2014. She recently won an able bodied competition (both classes at elementary level). Izzy was awarded British Dressage Northern Award for the Team Rider of the Year. Her first national squad training for excel talent is held in December. The Excel Programme which is funded by Sport England, looks to provide a pathway to underpin the World Class Programme and help riders develop to be the best they can be in their chosen discipline. 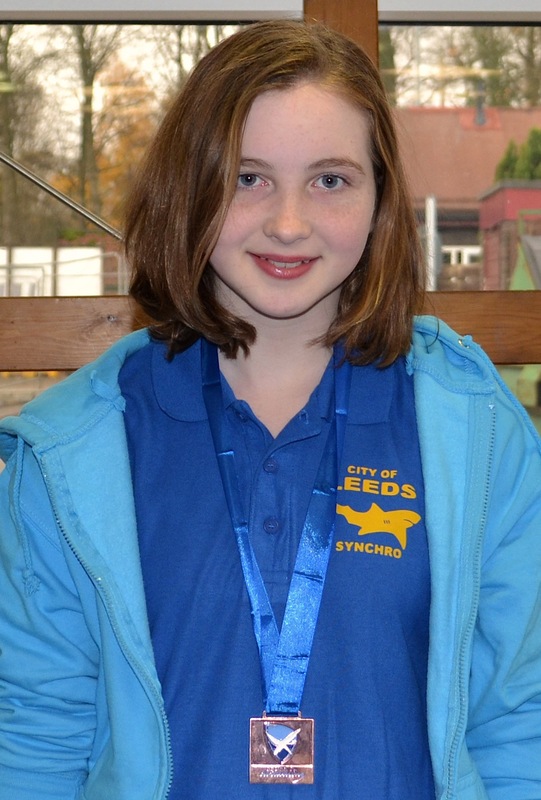 Samantha Breen has been competing at the exciting Olympic sport of Synchronised Swimming.